Get comprehensive guidance on MacShop Ads removal from Mac and an in-depth analysis of this adware in terms of the spreading and activity patterns. The MacShop browser add-on delivers some informative value while seriously affecting the user experience, so this is the case where something needs to be sacrificed. Officially, it is an app designed for Mac OS X which notifies users of luring online deals, discounts, coupons, promos and suchlike data intended for getting the best out of shopping on the Internet. Naturally, this kind of service may well be in demand to users. However, this application has got a dark side which definitely outweighs all the virtues. First off, this relates to the way MacShop tends to be installed on Macs. Most of the time, it infiltrates one’s system through a behind-the-scenes workflow, where the installer is packaged with other software as a secondary component which is typically hidden. Some infected users have reported the issue starting with the setup of the Weather Live utility on the App Store. The drive-by download process usually relies on the assumption that users simply won’t notice the opt-out for MacShop. All in all, this potentially unwanted extension mainly appears on a machine without the user’s knowledge and approval. Another downside of the app in question is the way it twists the look of the sites accessed by the user. There appear numerous redundant items on web pages, including boxes with coupons, price comparisons for products, interstitial ads and in-text links. Not only are these entities frustrating when they appear in visited sites, they often make a mess of the page layout. It’s important to understand how this type of activity differs from the normal ads that users get to see when browsing the Internet. The ads which are sanctioned by site owners do not spoil the look and feel in any way, whereas the ones displayed by MacShop don’t always conform to the criteria for attractive page appearance that’s easily perceived by visitors. More likely than not, a user who runs into the MacShop Ads problem shortly gets sick and tired of the browsing havoc. Yet another fact that should induce the need for removing it is the privacy issue – this app is fairly targeted in its advertising activity therefore it tracks the user’s Internet habits. In any case, it’s best to get rid of this extension. The respective procedure is described in detail below, including instructions for all affected browsers and an automatic fix applicable if the manual way is to no avail. When confronted with malicious code like the MacShop on Mac, you can neutralize its toxic impact by leveraging a specially crafted system utility. The Freshmac application (read review) is a perfect match for this purpose as it delivers essential security features along with must-have modules for Mac optimization. This tool cleans unneeded applications and persistent malware in one click. It also protects your privacy by eliminating tracking cookies, frees up disk space, and manages startup apps to decrease boot time. On top of that, it boasts 24/7 tech support. 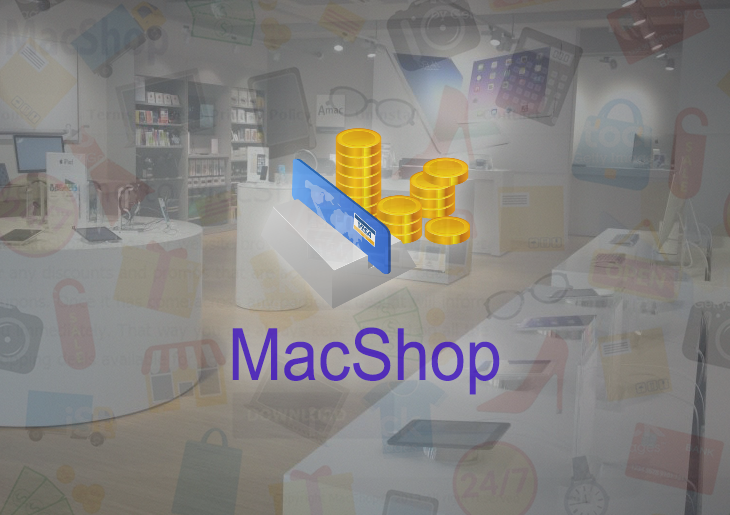 The following steps will walk you through automatic removal of the MacShop infection. 4. Check whether the MacShop adware has been fixed. If the lock screen is still there, go to the Uninstaller option on Freshmac GUI. Locate an entry that appears suspicious, select it and click Fix Safely button to force-uninstall the unwanted application. 5. Go to Temp and Startup Apps panes on the interface and have all redundant or suspicious items eliminated as well. The MacShop Ads fraud shouldn’t be causing any further trouble.